Kostis P.C., Kafka K.I., Petrakis P.E. (2018) Cultural Change and Innovation Performance, Journal of Business Research, Volume 88, July, Pages 306-313, https://doi.org/10.1016/j.jbusres.2017.12.010. Petrakis P.E., Valsamis D.G., Kafka K.I. (2016) From an optimal to a stagnated growth prototype: The role of institutions and culture, Journal of Innovation & Knowledge, http://dx.doi.org/10.1016/j.jik.2016.01.011. Petrakis P.E., Kostis P.C., Kafka K.I. (2015), “Secular stagnation, faltering innovation, and high uncertainty: New-era entrepreneurship appraisal using knowledge-based thinking” Journal of Business Research, DOI:10.1016/j.jbusres.2015.10.078. Petrakis P.E., Kostis P.C. (2015) “Τhe Role of Knowledge and Trust in SMEs”, Journal of the Knowledge Economy, March 2015, Volume 6, Issue 1, pp 105-124. Petrakis P.E., Valsamis D.G., Kostis P.C. (2014) “Uncertainty Shocks in Eurozone Periphery Countries and Germany”, Cyprus Economic Policy Review, Vol.9, No. 2, p.p. 87-106. Petrakis P.E., Kostis P.C. (2014) “Medium Term Effects of Culture, Transactions and Institutions on Opportunity Entrepreneurship”, Journal of Innovation and Entrepreneurship, 3, 11. Petrakis P.E., Kostis P.C. (2013) “Economic Growth and Cultural Change”, Journal of Socio-Economics, Issue C, Vol. 47, pp. 147-157, DOI 10.1016/j.socec.2013.02.011. Petrakis P.E., Kostis P.C. (2013) “The Effects of Cultural Background, and Knowledge Creation and Impact on Self-Employment and Entry Density Rates”, Review of Economics and Finance, Vol 3, No 2, May. Petrakis P.E., Valsamis D.G. (2013) “Entrepreneurship, Transaction Costs and Cultural Background”, International Business Research, Vol. 6, No. 5. Petrakis P.E. (2012) “The Construction of Opportunity Entrepreneurship Function”, International Entrepreneurship and Management Journal, DOI 10.1007/s11365-012-0241-4 . Petrakis P.E., Papadakis E., Daniilopoulou N. (2012) “Public Statements on Sovereign Yield Spreads: the Greek Case”, Cyprus Economic Policy Review, Volume 6, Number 2, December. Petrakis P.E. (2011) “Cultural Background and Economic Development Indicators: European South Vs European North”, Modern Economy, Vol.2, No.3, pp. 324-334. Valsamis D.G., Petrakis P.E., Katsaiti M.S. (2011) “Discrepancies in Financial Performance between Domestic and Foreign Owned Enterprises: The case of Greece”, International Journal of Economics and Finance, Vol.3, No.5. Petrakis P.E. (2010) "On the Ideal Duration of Entrepreneurial Resources Commitment," Technology and Investment, Vol. 1 No. 1, 2010, pp. 49-58. doi: 10.4236/ti.2010.11006. Eleftheriou K., Athanasiou G., Petrakis P.E. (2010) “Wages and Higher Education Paricipation”, Journal of Research in Educational Sciences, 2010, vol. I, issue 1, pp 22-31. Petrakis P.E. (2009) “Time and risk entrepreneurial characteristics of growth: the case of persistent light industrial prototypes, Entrepreneurship and its economic significance, behavior and effects.- New York, NY : Nova Science Publ., ISBN 9781606926697. - 2009, p. 95-111. Petrakis P.E., Eleftheriou K. (2009) “Informal Financing of Small ‐Medium Enterprise Sector: The Case of Greece”, Journal of Service Science and Management, Vol.20, pp. 111‐132. Petrakis P.E. (2007) “The Effects of Risk and Time on Entrepreneurship”, The International Entrepreneurship and Management Journal, Vol.3, No.3. Petrakis P.E., Stamatakis D. (2006) “The Human Capital Convergence Fallacy: A cross Country Empirical Investigation” Journal of Educational Research and Review, Vol.1, No.3, pp. 98‐107. Petrakis P.E. (2006) “Entrepreneurial Time Commitment and Risk”, Journal of Business and Economics Research, Vol. 4, No 6. Petrakis P.E., Bourletidis K. (2005) “Theoretical Framework of The Didactive Of Entrepreneurship: Dilemmas Presented In The Selection Of Thematic Units Of The Lesson Of Entrepreneurship" Mentoras Journal, Paedagogical Institute Of Athens, 2005, Vol. 8, pp. 113‐130. Petrakis P.E. (2005) “Factors influencing the ideal duration of entrepreneurial commitment: The Greek Case”, Economic and Business Review for Central and South-Eastern Europe, Volume 7, Issue 2, June 2005, pp. 101‐118. Petrakis P.E., Kotsios S. (2005) "The dynamics of structural change under risk influence", Economics Bulletin, John Conley, Volume 15. Petrakis P.E. (2004) “Entrepreneurship and Risk Premium”, Small Business Economics, 8, Kluwer Academic publishers, Vol. 23, issue 2, 14 p.
Petrakis P.E., Stamatakis D. (2001) Growth and Educational Levels: A comparative Analysis”, Economics of Education Review, Elsevier Science, (2001), Vol. 21, Issue 5, pp. 513‐521. Petrakis P.E. (1998) “Producer and Business Services in Greece”, contribution to the European Observatory for SME’s, European Commission. Petrakis P.E. (1997) “Entrepreneurship and Growth: Creative and Equilibrating Events”, Small Business Economics, 8, Kluwer Academic publishers, 20 p.
Petrakis P.E. (1992) “Economic Fluctuations in Greece: 1844 ‐1913", Journal of European Economic History, Banca di Roma, 18 p.
Petrakis P.E., Alexakis P. (1991) "Analysing Stock Market Behaviour in a Small Capital Market", Journal of Banking and Finance, Elsevier Science, North Holland, 12 p.
Petrakis P.E., Panorios H. (1989) “Turning Points of the Greek Economy: 1840 1913", Historics Vol.19 (June), 14p. Petrakis P.E. (1989) “ The Industrialist as Producer, Trader, Financier. Selected Funding Policies", (1989) Spoudai, University of Piraeus Publications, Vol. 38, issue 3‐4 (June), 12 p.
Petrakis P.E. 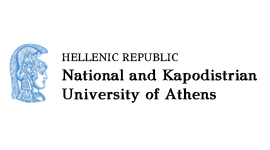 (1985) ”The Borrowing Requirements of the Greek Public Sector: 1844 ‐1869", The Journal of Hellenic Diaspora, Pella Publishing Company, (1985), 13 p.
Petrakis P.E. (1985) “The Added Value of Domestic Products in the Greek Economy, especially in the Manufacturing Industry ", Spoudai, University of Piraeus Publications, Vol. 3 ‐4, 11 p.
Petrakis P.E. (1984) “The Application of Input ‐Output Tables for the tracking of Leading‐edge Sectors in the Greek Economy", Spoudai, University of Piraeus Publications, Vol. 3 ‐4, 11 p.
Petrakis P.E. (1983) "The Demand for Imported Industrial Products in the Greek Economy", Spoudai, University of Piraeus Publications, Vol. 1 – 2, 8 p.